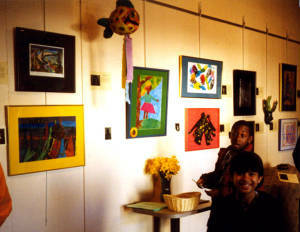 Backstage & behind-the-scenes photos from various events will join the Exhibit photos soon! 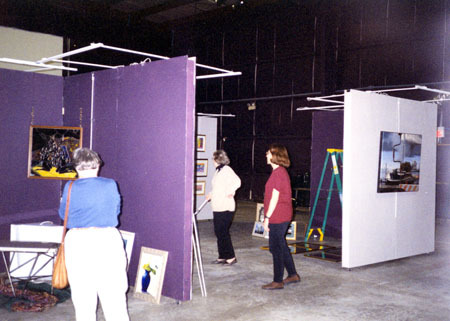 Setting up movable 8'x8' hinged partitions for Artscapade 1999 exhibit & dinner. 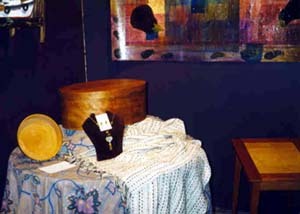 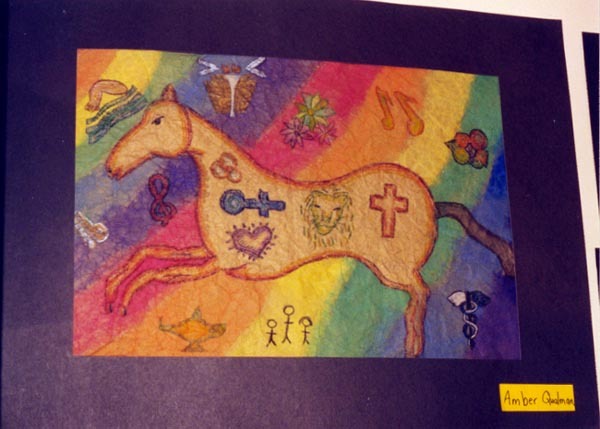 Artscapade 1999 exhibit with art auction items displayed on partition walls, tables, etc.